How Do Fruit Tree Fertilizers Work? Fruit tree fertilizers work by replenishing nutrient depleted soil with essential growth nutrients such as nitrogen, potassium and phosphorous. These first two elements are especially important in the tree’s formative years when the grower wants to assure a strong scaffold of branches to bear future years of harvests. Phosphorous is essential for disease resistance and flower and fruit development. There are natural (organic fertilizers) and synthetic (chemically produced fertilizers). Each has their place in the grower’s tool box. There was a time when soil replenished itself with essential nutrients through the natural cycle of decaying organic matter. In today’s populated world, the earth doesn’t have time to replenish itself before man needs to reuse it to feed the masses. By adding fertilizers back to the soil, growers can optimize the use of limited soil resources. The key is to assure a correct balance of nutrients is applied. The most common problem encountered by growers using fertilizers to do the work of mother nature is their tendency to overuse them. Many growers go too heavy on nitrogen (in the form of chemical fertilizers or raw manures) and neglect phosphorous & potassium as well as other essential nutrients. Research & experience reflects that excess fertilization of fruit & nut trees can result in too much vegetative growth, reduced bloom & fruit set, reduced quality of fruit and diseases such as fire blight, brown rot & powdery mildew. Excess nitrogen can create a nutrient imbalance in the plant, which may result in weakened cell structure in the leaves. Branches may reflect high levels of nitrates and fruits can have lower levels of sugars. This can make the foliage more susceptible to disease and the fruit less flavorful, translating to poor harvests and low returns at market. Add to this the documented ecological hazards of fertilizer runoff into waterways and it’s easy to see why finding a better way is imperative. A good fertilizer booster like BioWash can hit at the very heart of the problem of over application of fertilizers. Why? Because fertilizer boosters work to make plants naturally function more efficiently. By helping the plant more effectively absorb and assimilate the nutrients and moisture available to them in the soil, fertilizer boosters capitalize on the value of added fertilizers while reducing the amount of fertilizers needed to do the job. 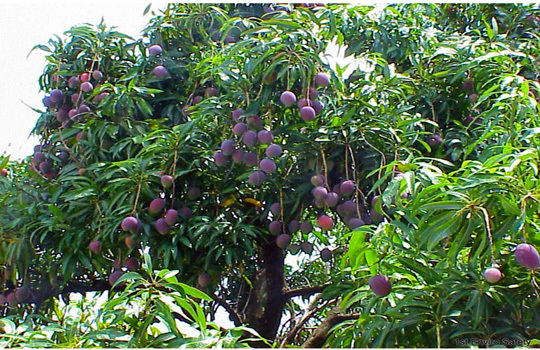 BioWash has been found to be an exceptional fruit fertilizer booster. Blueberries the size of quarters are only representative of the examples of success that fruit growers are experiencing following application of this amazing product to their fruit trees and bushes. The secret is in its formulation. A proprietary blend of processed extracts from natural plants, BioWash works at the cellular level of plants to actually help enlarge root systems and promote stronger stalks. By improving the efficiency at which plants can absorb available nutrients and moisture from the soil, BioWash helps stimulate growth while reducing the amount of fertilizers needed to do the job. This, in turn, helps alleviate the most common problem with fertilizers, their overuse. Additionally, BioWash contributes to higher production of BRIX (sugar) in the fruiting plant, which promotes faster fruit growth and maturation as well as sweeter fruit flavors, a major factor in market return. Plant sugar has also been found to reduce insect damage, requiring fewer insecticides. It moderates impacts of cold or frost damage, down to 27 degrees. This is especially critical in tropical growing areas that are subject to periodic frosts. Stronger, healthier plants, larger and more flavorful fruits, added insect and disease protection, faster to market and higher profits….while actually reducing the amount of fertilizer being dumped into the environment. BioWash…… where have you been all this time!